What’s it like for you to live with migraine? The 30 Things About Your Life With Migraine meme is a great way to share your experience. To share your answers on The Daily Headache, copy and paste the questions and your response into the submission form at the end of this post. Even if you don’t wish to share your answers publicly, I encourage you to think about the questions. Whether you share them with loved ones or just keep them for yourself, reflecting on your life with migraine can provide helpful insight. Special thanks to to Invisible Illness Awareness Week for the idea for a 30 things meme. The 30 Things About My Invisible Illness meme was so well received that I knew we needed something similar for Migraine and Headache Awareness Week. Thank you for reminding me I’m not alone. Thank you, Susan! You’re definitely not alone. this my 30 things post has been a comforting resource, a community of others that I can actually relate to. The one meme I read inspired me to tell my story. That in truly not alone even though I already knew that. It’s unfortunate to say I like knowing what others go through and hope maybe one day I can help some one. I feel for everyone who has shared their story. I too suffer from chronic migraine and it has basically destroyed my life. A day doesn’t go by without pain and nausea to some degree. I have made so many trips to the ER in the last 5 years i have lost count. Injections, pills, IVs, massage, chiropractic…I have tried them all with very little or short term success. I am now allergic to all major pain meds leaving me with no options for relief. All I do is sleep and work (which I miss a lot of) and I have had no social life in the last 5 years. When does it end? Kimberly, I’m sorry you’re having such a rough time. Hang in there. It’s impossible to say when any one person will get relief, but most of us do. And I’m sorry you can’t take pain meds. Are triptans OK and helpful for you? 6. 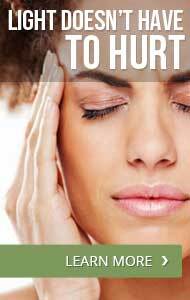 My first migraine attack was: when i was a teen. I thought I was dying. 7. My most disabling migraine symptoms are: the fatigue, the inability to communicate, the lethargy and the piercing pain. 8. My strangest migraine symptoms are: yawning, single eye gushing with tears, hunger, weakness, auras and single eye blindness. 9. My biggest migraine triggers are: changes in routine, tiredness, sleep or lack of, smells of diesel fuel, smoke and alcohol. Also, low blood sugar. 10. I know a migraine attack is coming on when: I get the yawns despite being rested. 11. The most frustrating part about having a migraine attack is: wondering how long it will go on for. How many imitrex can I take? have I taken too many? does everyone thing I’m a total disaster? Will I get fired? 12. During a migraine attack, I worry most about: Getting fired, people thinking I’m slacking, and how much pain I will have to endure. 13. When I think about migraine between attacks, I think: Thank God I feel ok for a bit, I must do my chores. I also try to avoid trigger items or behavours so I don’t go out much any more. 14. When I tell someone I have migraine, the response is usually: Oh yes I hate having a headache. 15. When someone tells me they have migraine, I think: Oh you poor thing. Can I lend you any ginger tea or help you? 16. When I see commercials about migraine treatments, I think: Ha. That didn’t work either. 17. My best coping tools are: When I can do it, rest in darkness. Mostly I go to work and suffer. 18. I find comfort in: The love of my boyfriend and ginger root tea. 20. I like it when people say: Are you OK? Are you happy? 22. The best thing(s) a doctor has ever said to me about migraine is: It won’t kill you. 23. The hardest thing to accept about having migraine is: Sometimes I wish it would kill me just so it would stop. I hope menopause will cut it down. 24. Migraine has taught me: to value the period of remission like love. 25. The quotation, motto, mantra, or scripture that gets me through an attack is: YOU CAN ENDURE THIS. YOU WILL FEEL BETTER SOON. 26. If I could go back to the early days of my diagnosis, I would tell myself: a. Imitrex is coming! b. it’s going to get worse! 27. The people who support me most are: The Boyfriend. Oh he is great. And my Doc. 28. The thing I most wish people understood about migraine is: It is a serious neurological condition and it can be hell; people who have it are not slacking off. 29. Migraine and Headache Awareness Month is important to me because: I can help it spread the good work done by medics and charities. 30. One more thing I’d like to say about life with migraine is: Value periods of remission. Live. The are doubly precious when half your life is lying in a dark room with an icebag on your skull.